After a hard workout or a stressful day, enter a specially designed sauna, made of abachi timber, which grows only in West Africa and is perfect for saunas, since it is very soft and holds little heat. 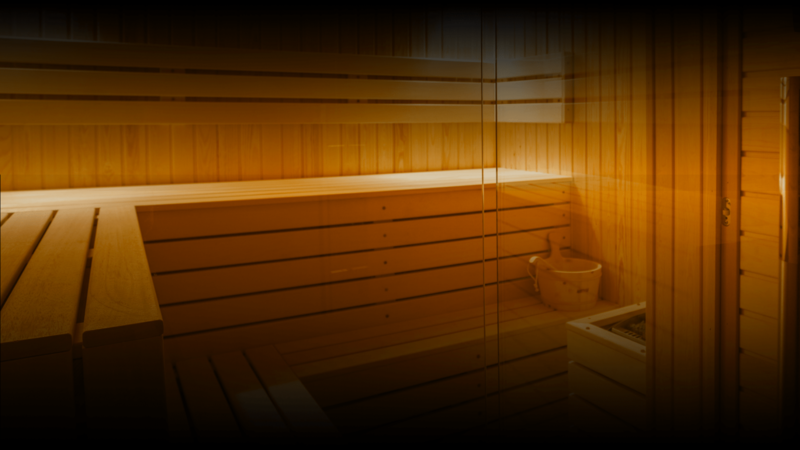 Inner body purification combined with relaxation is best achieved in our sauna. Relax by yourself or with someone special in this soothing atmosphere. Next to it you can find a shower zone. This harmonious RELAX zone is available to our guests every day from 6:00 AM to 10:00 PM.